It turns out she’d gone to the Brooklyn Children’s Museum instead. As I’d mentioned, she’d intended to go to the children’s museum on Staten Island, but she could only find her membership card for the science museum in Queens (which is essentially a children’s museum anyway). Meanwhile, my son wanted to go back to the Museum of Natural History for the fifteenth time, or maybe the NYC Transit Museum for the 50th, or to the museum we visited when we saw R2D2 (the science museum in New Jersey). Every one of those places is less than an hour away from our place in Brooklyn. Their options were almost literally limitless. Over the weekend, we took a ferry over to Governor’s Island, complete with amazing views of the Statue of Liberty, so my 5-year-old could play in the new slide park there. Then, we took the ferry back and hung out at Brooklyn Bridge Park for a little while, complete with amazing views of the Manhattan skyline, and on the way home, we walked by Prospect Park and had to forcibly pull my son away from the three playgrounds we passed as we made our way back to our apartment. That variety is why we like the city. 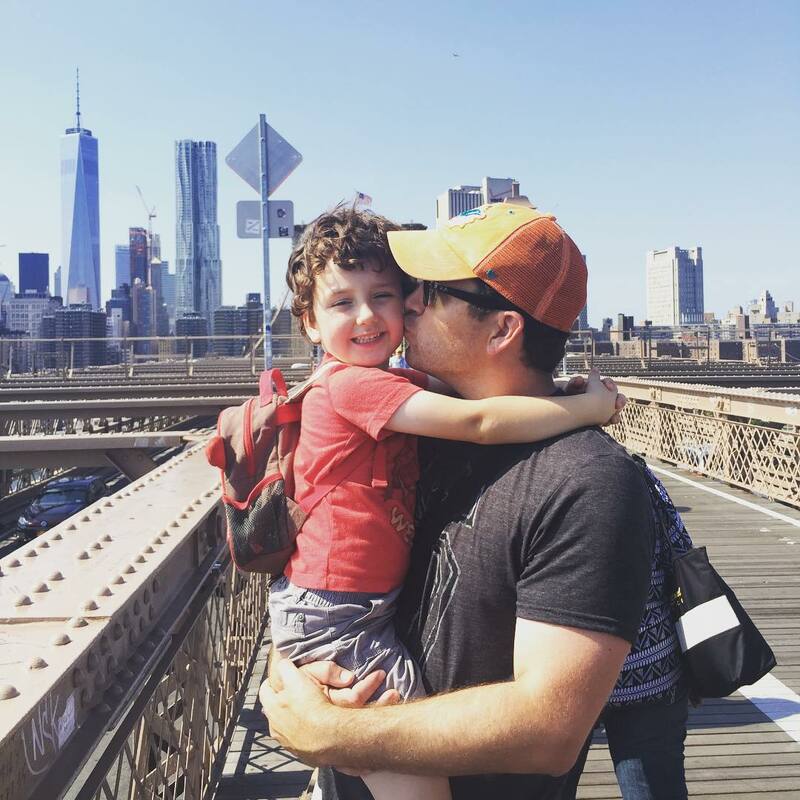 A few years ago, after five years and one kid, we left New York City for the same reasons everyone else does: the cost of living is too high, space is too limited, and people are too plenty. But when we returned after a year and a half down south, those issues remained. Yes, living in the city is expensive, and no, we likely won’t be able to buy a house here anytime soon. But we tried to downsize — a few years ago we moved to Raleigh, which is ostensibly a city, only without a centralized downtown and no real public transportation, it didn’t much feel like one. It didn’t work out. I’m not bashing it; we have good friends down there, and we have a lot of fun when we visit every year. But despite our interest in having more space and less expense, it wasn’t for us. The funny thing is, I thought it would be a culture clash that did me in but instead it was the fact that after almost 15 years in Boston and five (at the time) in Brooklyn, I’d become a city person. I didn’t anticipate that, especially not when I thought about having children. My wife and I both grew up in non-urban settings. I am from suburban Connecticut, and she grew up in rural Pennsylvania. 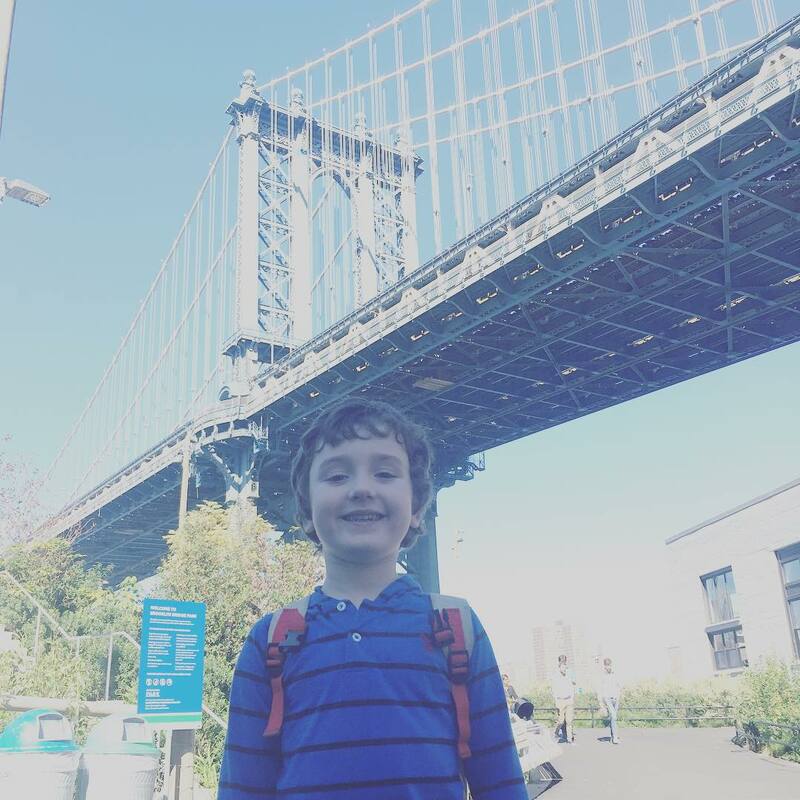 A childhood in New York City is pretty far afield from both of ours, and I never anticipated raising my kids in an environment like this. As such, I won’t pretend I don’t have some concerns about it. I don’t know that I’ll ever get used to the probability that they’ll ride the subway to high school, and it will never not bum me out that they won’t spend as much time riding dirt bikes down wooded pathways. But everything is a trade-off. For everything they miss out on, they’ll gain something else. We may not have a big yard (and we’re lucky we have the sliver of yard we currently possess), but there are more than enough nearby greenery and park spaces to accommodate us. We may not have as much space, but space is overrated, and everything we need is easily accessible and then some. From countless parks and museums to a veritable Epcot of food options, there is little my kids won’t be able to experience as they grow up. The culture and diversity New York City provides are immeasurable. The convenience it offers is irreplaceable. At this point, going back to a small town or suburb is unimaginable.